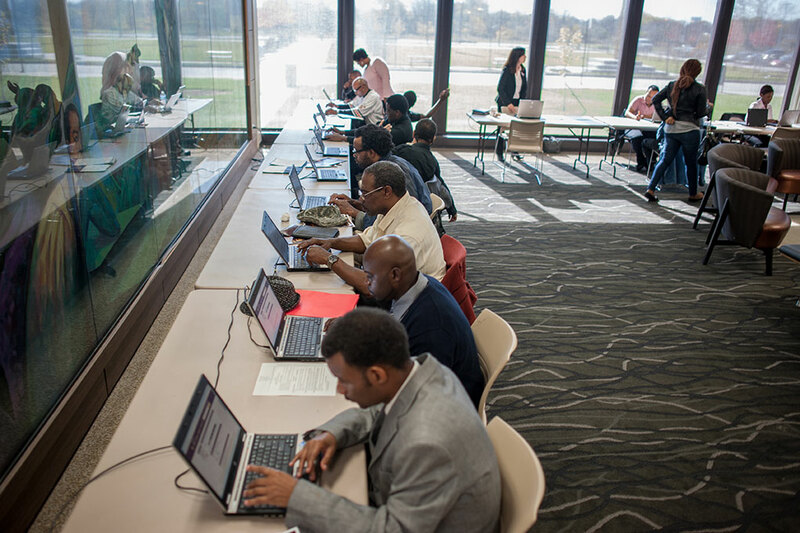 Residents apply for seasonal jobs with UPS during a job fair held at Olive-Harvey College on the far South Side. You’ve heard the economy is back on the move after years of slow, almost imperceptible recovery. In Chicago, the recovery is playing out along color lines. Let’s look at newly published Census data about workers and households through a racial lens. Take the poverty level here as an example. Roughly one in three black Chicagoans fall below the federal poverty level. The number has dropped recently, from 36 percent in 2012 to 32 percent last year. But this progress hasn’t nearly closed the gap with Hispanic (22 percent) and white residents (10 percent). Looking at household earnings, the median white income has climbed steadily to more than $77,000 — while black and Hispanic families have remained relatively flat around $30,000 and $43,000, respectively. WBEZ has more on this. Meanwhile, rates of families enrolled in food assistance programs has barely moved and generally reflects economic conditions along racial lines. Relatively new data on computer and broadband internet access clearly show a digital divide for black and brown households in Chicago, suggesting a disadvantage when it comes to educational programs and job opportunities that are increasingly available online. We didn’t touch on employment statistics here. The Bureau of Labor Statistics will issue a report soon breaking down unemployment rates by city and race. We’ll report back. Matt is the data editor for The Chicago Reporter. Email him at mkiefer@chicagoreporter.com and follow him on Twitter @matt_kiefer. Thousands are misled into switching suppliers in the hopes of saving money but instead see their utility bills spike, sometimes driving them into debt. The cash-strapped school district eliminated a unit that helped eligible families sign up for public benefits. Now it could lose millions of dollars in state poverty grants, while thousands of children go without food and health insurance. 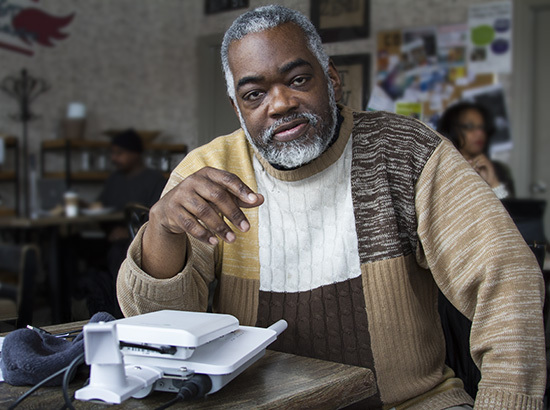 While politicians grapple with how to turn Chicago into a high-speed internet hotspot, one Woodlawn resident is making it happen.